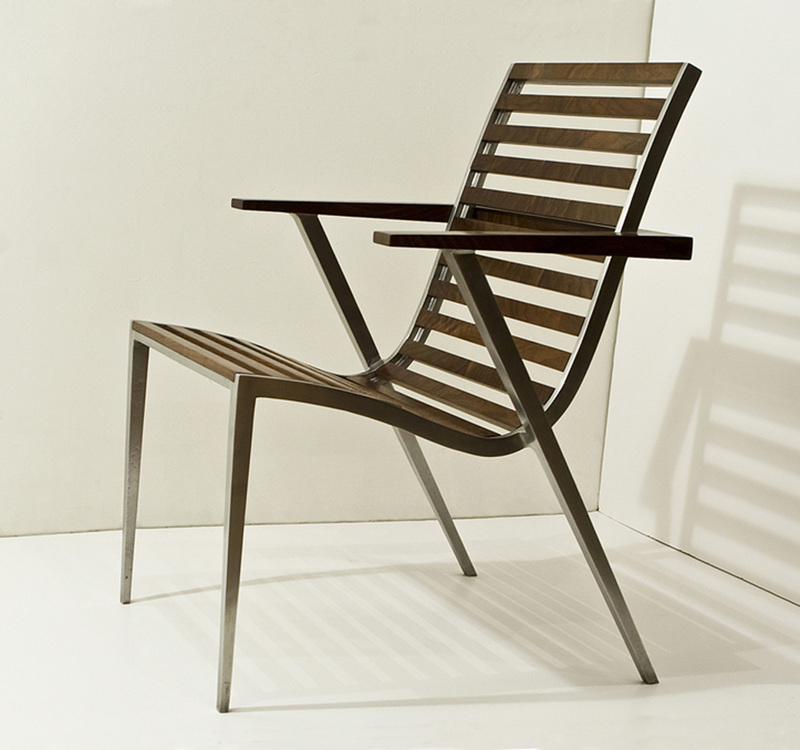 The Camille chair pairs sand-cast aluminum and wood parts in a dynamic, interlocking design. The chair's metal elements provide a lightweight but strong structure, while the wood armrests and slats give maximum comfort and ergonomic support. 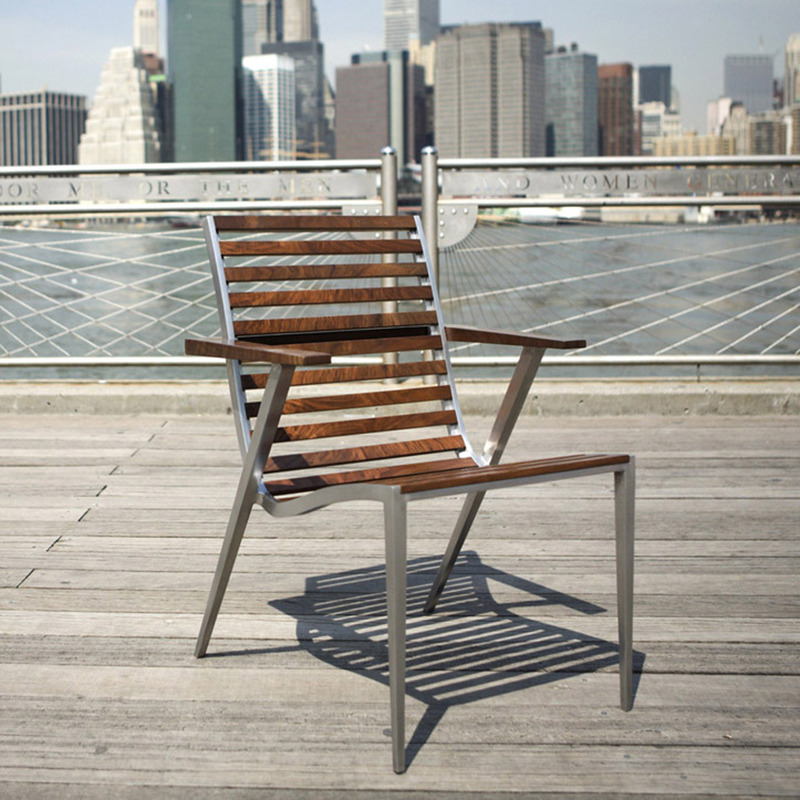 The corrosion-resistant aluminum frame can be matched with woods such as teak or ipe for outdoor use.